Hello, this is Karen. Welcome to my first blog entry! I’m so glad to become an art intern in HKDCS during this summer. Majoring in fine arts and translation, I help translating different materials and designing online publication. Although I do not major in science, I never bring a halt to my concern on environmental protection and animal rights. In recent years, I start motivate myself to learn more about problems of animal captivity in Hong Kong and around the world. 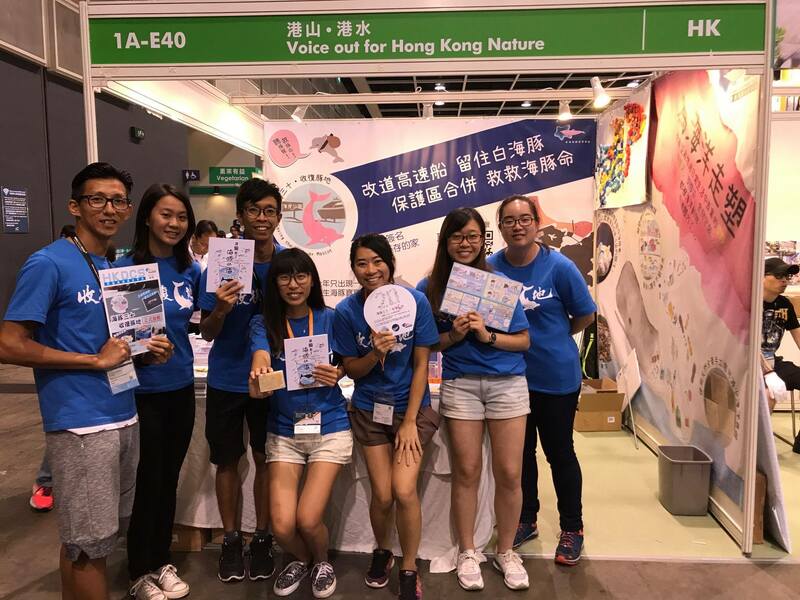 Knowing that HKDCS also put great concern upon captive dolphins and porpoises in Hong Kong, it is encouraging to work with people who possess the same view and belief. While the campaign ‘Saving the Handover Mascot’ is ongoing, I participate to gain public awareness on dolphins in multiple ways. 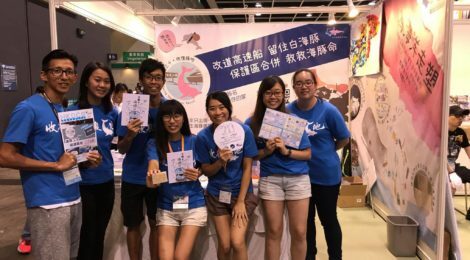 In late July, I worked with my colleagues in Hong Kong Book Fair 2017. We asked people to join the petition that HKDCS proposed. I explained to many strangers and educated them about how dolphins in Hong Kong are doing, what problems they are facing etc. I feel so satisfactory that after listening to me, a lot of people at the end realised the situation and sign the petition for saving dolphins. Apart from working in Book Fair, I also volunteered a lot in holding street booths and collecting people’s signature. The experience was, honestly, very tough and depressing when I noticed many people were so indifferent to our nature. The process was slow, hard but still very meaningful. We receive people’s warm support on street. Every name and email that we collected is part of our achievement. I’ll share more about my daily work later on. Stay tuned with me!